Take Mr. Suzuki's wonderful violin program, add "Sweet" Mary Hattersley, and a variety of Texas fiddle music and the result is a wonderful violin/fiddle program where the students (age 4 and up) learn the joys of both classical violin and fiddling simultaneously. 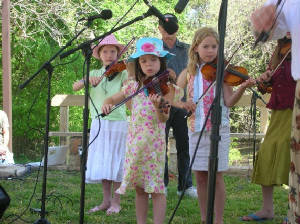 Blazing Bows at the Austin Arts Festival, 2002. 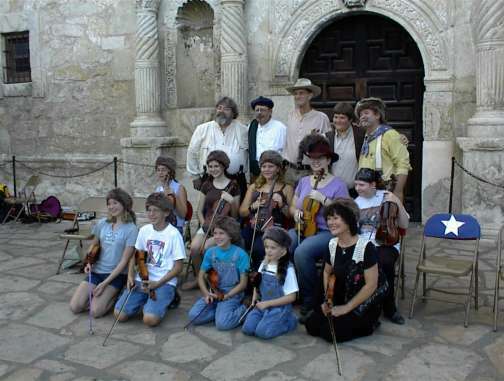 Mary Hattersley's Blazing Bows were joined by Kay Mueller's Austin Suzuki Academy (ASA) for the 2002 Austin Art Festival. Kay's students sometimes join Mary's at events like this, as they also do some fiddle study along with their Suzuki training, as well. The Blazing Bows at the LBJ Ranch Book Fair. The combination violin/fiddle program that Mary teaches her students allows for a unique path to knowledge and skill. 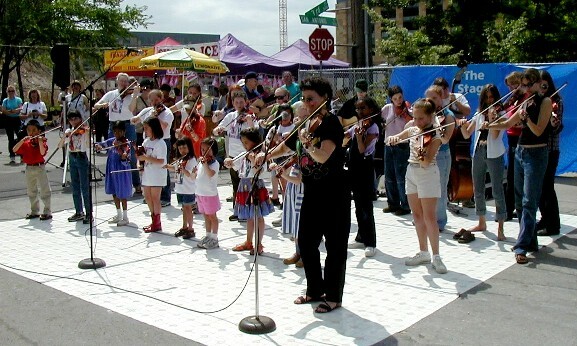 While learning by ear and learning to read music, the children also learn long bow techniques (typically used in violin and considered to be more advanced techniques in fiddle) and short bow techniques (shuffles, etc., which are the mainstay in fiddling, but tend to be more advanced techniques in violin). In the end, the students tend to become more well-rounded over time. 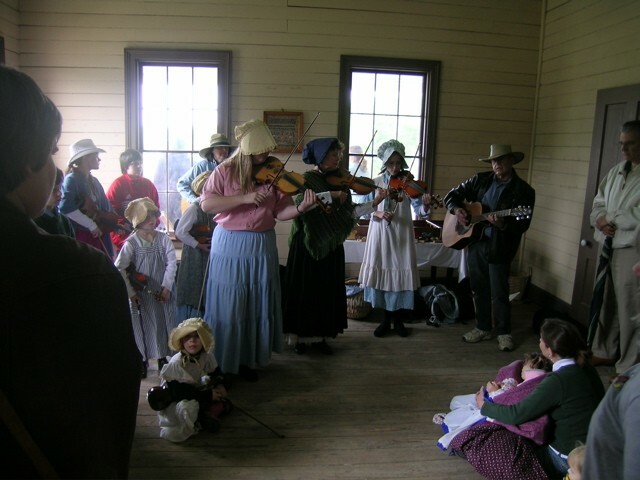 Blazing Bows play music for Pioneer Farms May Celebration. The Blazing Bows take their shows to celebrations, nursing homes, festivals, schools, and wherever else it may be wanted. Their shows typically consist of a variety of classical violin and fiddling which teaches a bit of history along with the music. While the children get performance and presentation experience, they learn about the pleasure they can bring to others and the history that goes with the music they have learned. 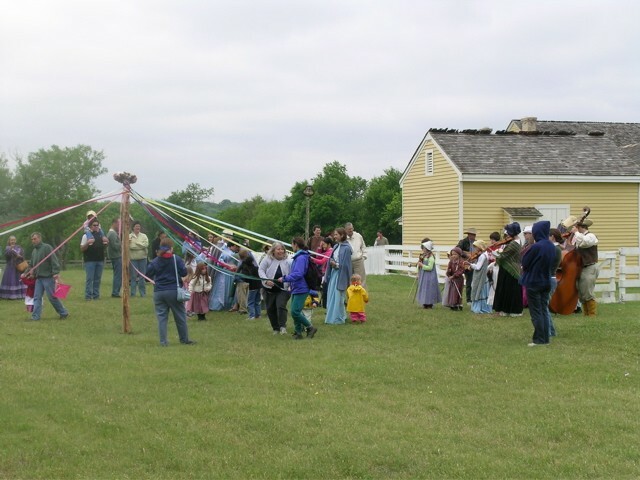 Blazing Bows play for May Pole dancers (Pioneer Farms).